Arthropods, which make up the phylum Arthropoda, is the largest group of invertebrates (animals without a vertebral column) consisting of well over 80 percent of all animals. The phylum includes such animals as spiders, insects, shrimps and craps among many others that can be found in a wide range of environments from the ocean floor to the mountain peaks. Phylum: Arthropoda - Also referred to as Euarthropoda in some spheres, arthropods make up the phylum Arthropoda consisting of well over a million described species of invertebrate animals. Members of the subphylum Trilobitomorpha, referred to as trilobites, are today wholly extinct. Although studies have shown them to have been abundant between the Cambrian and Ordovician geologic periods, they went extinct during the Permian geologic period as a result of the Permo-Triassic extinction event (the Great Dying). A flattened body that was oval in shape - The body was divided into several parts including the head shield known as Cephalon, compound eyes located on the upper part of the head section, a pair of antennae, the thorax with biramous limbs as well as a segmented terminal section known as pygidium. They ranged from one millimeter to 76cm in length - Whereas smaller trilobite species ranged from 1mm to 10 cm in length, some of the species grew to lengths of up to 76cm. Subphylum Trilobitomorpha consists of a single Class (Trilobita) that consisted of such groups as agnostids that are commonly interpreted as planktons. Many trilobite species have been identified from fossil records thus providing more details about the sub-phylum. 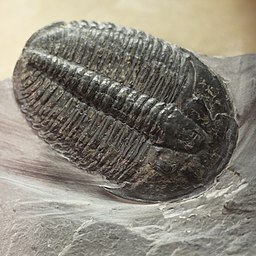 * Given that trilobites were largely marine animals, their diet may have largely consisted of dead or decaying matter as well as marine plankton and some crustaceans. Subphylum Chelicerata is composed of such marine and terrestrial animals as scorpions, horseshoe crabs, ticks, mites and spiders among others. Apart from various existing animals, Chelicerata also includes a number of extinct organisms such as eurypterids. With well over 100,000 described species, members of subphylum Chelicerata can be found in different types of habitats in the environment. While a few of these organisms can cause harm to human beings and animals, a majority are harmless, free-living organisms while some are beneficial. Arachnida, a class belonging to subphylum Chelicerata is composed of a diverse group of organisms including spiders, scorpions, mites, and ticks among many others. Currently, over 90,000 species belonging to class Arachnida have been identified with more than 8,000 of these living in North America. Depending on the species, Arachnids can be found in aquatic and terrestrial environments. For instance, some mites (Hydrachnidia), which are some of the most ubiquitous organisms on earth. Hydrachnidia (water mites) in particular can be found in freshwater environments. Apart from Hydrachnidia, there are other different types of mites in particular that can live in water (semi-aquatic). A majority of Arachnids, however, are terrestrial organisms where they mostly live as predators of smaller insects. * The name Arachnida comes from the Greek word aráchnē that means spider. Here, it is also worth noting that spiders represent the majority of arachnids. Two body parts - consist of an abdomen (posterior part of the body) and a cephalothorax which is the anterior part of the body. The cephalothorax is composed of two the dorsal carapace and the ventral sternum. Reproduction is largely through indirect fertilization- Here, pedipalps are used to transfer spermatophores for fertilization. Class Merostomata consists of two types of organisms including the horseshoe crabs (four species of horseshoe crabs) as well as eurypterids (sea scorpions). While horseshoe crabs are still in existent, sea scorpions are now extinct. Compared to other classes that consist of organisms found in different environments, Horseshoe crabs which are the only surviving organisms in this class are largely marine organisms. For this reason, most species, apart from Carcinoscorpius rotundicauda, are marine organisms. Commonly known as sea spiders, Pycnogonida is made up of marine organisms consisting of about 1,000 species. Although they are referred to as sea spiders, Pycnogonida are not really spiders, but only organisms that resemble spiders. Subphylum Myriapoda is composed of about 13,000 species spread across four major classes. As is the case with all arthropods, Myriapods have a segmented body as well as many legs that are segmented. They also have an exoskeleton made up of chitin. With regards to size, Myriapods range from tiny to about 30 centimeters in length. Some, however, are almost microscopic. Myriapods can be found in different terrestrial environments such as soil, littler and moist forests where they break down plant material. A majority of Myriapods are herbivores and thus feed on plant material. However, some live as predators of small animals. Class Chilopoda consists of centipedes. These are uniramian arthropods with an elongated, flattened body consisting of between 12 and 100 segments. However, the foremost and last body segments of centipedes may vary in shape when compared to the other segments. In addition to a pair of jointed antennae, the head (first segment) of centipedes also posses appendages that are modified to form jaw-like, poisonous claws/fangs. While the name centipede means "one hundred legs" members of class Chilopoda have between 30 and 300 legs depending on the species. Each of the body segments, apart from the first and last body segment, consists of a pair of jointed legs that are not only used for walking, but also for holding the prey when it is captured. Members of class Chilopoda are terrestrial and thus live on land. However, they need moist habitats and are therefore commonly found in such microhabitats as under rocks, logs, litter and dark, moist areas among others. In these habitats, a majority of centipedes live as predators of other smaller animals and arthropods. However, Giant centipedes (Scolopendra gigantea) found in parts of South America have been shown to prey on much larger animals such as frogs and mice. Among members of class Chilopoda, fertilization is internal. Following fertilization, the female lays eggs in moist habitats, which (nymphs) in turn hatch and go through a series of molts before reaching adulthood. As adults, centipedes protect themselves using a number of special adaptations that include: inflicting painful bites, throwing a sticky substance using their hind legs or simply curl into a ball. This, however, is dependent on the species. Class Diplopoda is composed of about 10,000 species of millipedes. While the name (millipede) suggests that they have 1,000 legs, the largest species have about 350 legs with a majority having about 30 pairs of legs. Compared to centipedes, millipedes have diplosomite segments (each of the segments consists of two fused segments) with two pairs of legs on each of the fused segments. The head does not have legs while the first three segments only have a single pair each. The head segment has one pair of antennae as well as chewing mouthparts used for feeding on plants. Compared to members of class Chilopoda and Diplopoda, Pauropods are tiny organisms that range between 0.5-1.5 mm in length. Their bodies are pale (whitish or pale brown) and softer when compared to the aforementioned classes and consist of between 8 and 11 segments. Members of class Symphyla, known as Symphylans, are terrestrial organisms that resemble centipedes. However, they are smaller and more translucent in appearance. Compared to the other classes, Symphylans are not well understood with only about 160 species identified today. Consisting of some of the most recognizable organisms (lobsters, crabs etc), Subphylum Crustaceae is one of the most popular groups of invertebrates in the world. Currently, about 70,000 species of Subphylum Crustaceae have been identified spread across six classes. 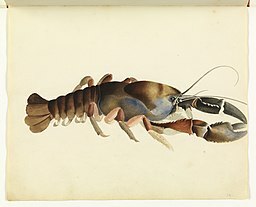 Depending on the species, Crustaceans can be found in a wide range of habitats from terrestrial to aquatic environments. As such, they also greatly vary in their size, form, habit and life cycle among other characteristics. Organisms in class Branchiopoda are known as branchiopods and are further divided into three main orders that include: Anostraca, Notostraca, and Diplostraca. This group is composed of about 800 species that lie in four major (living) groups that include Anostraca, Cladocera, Conchostraca and Notostraca. A majority of these organisms (sea monkeys, tadpole shrimp and clam shrimp among others) are aquatic and can be found in fresh (majority) and marine environments. They vary in size (0.25ml to 10cm in length) with diverse body forms that make it difficult to generalize them. The bodies of members of class Remipedia are divided into two regions that include a cephalon and an elongated, segmented trunk. Members belonging to this group have a head and a segmented thorax and abdomen. Whereas the thorax (8 segments) has limbs on each segment, limbs are lacking on the abdomen segments. 12 benthic species of this group exist and are characterized by their small size (2-4mm), a large head section, no eyes, two pairs of antennae (in front of the mouth), mandibles and two pairs of maxillae as well as a telson on the abdomen. They are often found in the intertidal zones where they feed on marine detritus. Class Maxillopoda is not particularly well understood due to the diverse organisms that include copepods and barnacles. Some of the few characteristics that unite these organisms include their small size and short bodies (apart from barnacles) and use of their feet for filter feeding (apart from barnacles). On the other hand, they may have a similar number of segments on their divided bodies: a cephalic section with 5 segments, thoracic part with 6 segments and an abdominal section with 4 segments. Class Ostracode consists of about 30,000 species that look like small bivalve mollusks. They are commonly found in aquatic environments across the world with a majority of them living on the sea floor. However, some species are also found in freshwater habitats and moist terrestrial environments such as forests. A majority of ostracods reproduce sexually while a few are parthenogenic. In their habitats (lagoons, deep ocean and freshwater bodies etc) Ostracods have been shown to be filter feeders. However, some use their claws to prey on smaller animals. Class Malacostraca consists of more than 30,000 species distributed in marine, freshwater and terrestrial environments. They have a hard exoskeleton with a body that is divided into three main parts including the thorax, abdomen, and Cephalon (with the head and thorax being fused into a cephalothorax). Malacostracans are segmented (five segments on each body part/section) with each of the segment having a pair of appendages for a majority of the species. This is one of the most diverse groups consisting of about 700,000 species. They include many winged animals (as adults) and some wingless groups such as proturans, springtails and bristletails. A majority of organisms in this group are terrestrial (soil dwelling) while a few and various larval forms can be found in freshwater environments. Anthony J. Wright and Roger A. Cooper. (2011). Phylum arthropoda, subphylum trilobitomorpha:trilobites. University of Wollongong. W. Martin. Phylum Arthropoda. Crustacea: Crabs, Shrimps, and Thier Kin.